I will begin teaching Elementary Art, Grades 3, 4 and 5, at The American School of Chennai, India. I will soon be involved in the curriculum and many activities of an art teacher for the 2018/19 school year. I’ve been teaching art full time since 2001. My most recent teaching assignment was in Istanbul, Turkey at MEF International School, teaching the Primary Years Program (PYP) to students from Preschool – Grade 5. Students in the Early Childhood Education Program came to art two times per week; each class was one block (45 minutes). In Grades 1-5, students came to art once a week; each class was a double block (1.5 hours). Pre-Schoolers learned through the Units of Inquiry: Families, Tell Me Another Way, Transport and Living Things. Pre-K learners created art about these UOIs: All About Me, We Can Imagine, Earth, Light and Journeys. Kindergarteners applied their knowledge to these UOIs: Friendships, Jobs People Do, Exploring Materials, Homes, Growth Cycles and Stories and Imagination. Grade 1 students learned through these UOIs: Celebrations, Portraits, Places, Changing Materials, Patterns and The Natural World. Grade 2 students were curious about these UOIs: Rights and Responsibilities, Traditional Fabrics, Signs and Symbols, Form and Function, Water and Landscapes. Grade 3 students applied their growing understanding to these UOIs: Music and Movement, Healthy Bodies, Chinese Brush Painting, Earth and Space, Ecosystems and Textiles. Grade 4 students found discoveries in these UOIs: Role Models, Finite Resources, Beliefs, Energy, Migration and Art Appreciation. Grade 5 students were curious about these UOIs: Ancient Civilizations, Printmaking, Fabric Compositions and Fashion Design. At Trinity Christian Academy, I was hired to build a sculpture department at my school, but I was also required to teach two-dimensional skills of painting and drawing to middle school aged students. Below you will find a small sampling of the projects I’ve developed over the years. The upper school at TCA operated on a trimester basis. In the upper school (grades 9-12) students were enrolled in three different classes over the period of a year; one class per trimester. In the Sculpture track it looked like this: 1st Trimester is Sculpture, 2nd Trimester is 3-D Mixed Media and 3rd Trimester is Ceramics. Each of these trimesters is 12 weeks long and each trimester requires a unique syllabus, homework and specific projects. 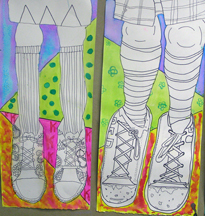 In the middle school at TCA (grades 5-8) art classes do not change at the trimester but continue all year long. The humanities are important, therefore, art is highly regarded. Starting in middle school, students come to art class four days per week for 50 minutes. 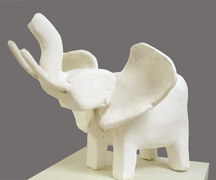 1stTrimester Sculpture, is based on building sculpture with traditional sculptural materials of plaster, clay and wood. I do not have access to a marble quarry, foundry or a wood shop, so I have to be creative with the materials. Although the course begins with a foundational understanding of the artists and materials of the Italian Renaissance, we move forward to contemporary times and my projects, although made of traditional materials, have a contemporary look. Tools such as drills, hand saws and Dremel Tools are used. 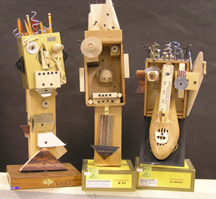 This 2ndTrimester, Sculpture track class, is defined by the materials used. 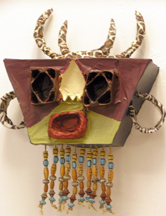 The objects produced are still sculptural, but students use a variety of, often reclaimed, materials. 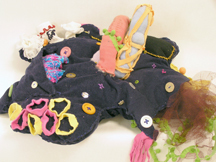 Discarded materials and appropriated items find their way into these student works. Often skills of sewing are implemented if students work with soft materials.Contemporary art from around the world is examined and processes of construction are explored. When possible, field trips to local museums are incorporated. This 3rd Trimester, Sculpture track class, incorporates a new tool: The potters wheel. 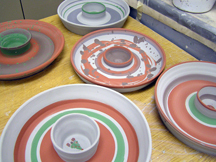 Learning to throw bowl and cylinder forms is the emphasis of this class, however art historical civilizations are also studied and hand building is also worked into the curriculum. 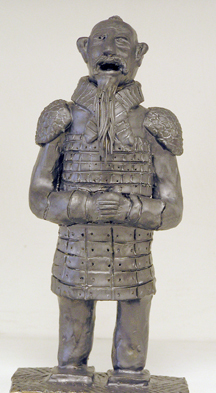 The Greek civilization and the Qin Dynasty are studied and ceramic forms are built around these studies. Advanced students are allowed to repeat this track, and advanced students will learn to throw more complex forms incorporating handles and lids. This year-long class introduces students to sculpture, however, each project theme incorporates both a two and three-dimensional element. Additionally, several projects relating to architecture have a special emphasis. 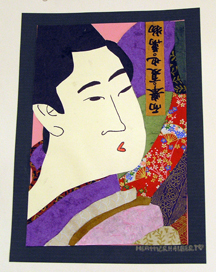 A wide variety of materials are used and art historical periods are often emphasized. Students learn to use tools such as rivet guns and drills, which adds to the excitement of this class. This year-long class is full of fun and thoughtful projects that incorporate a wide variety of materials. Drawing, painting, collage, as well as ceramics and paper mache projects keep students continually excited about learning. Art historical periods such as Surrealism and Pop Art are emphasized, as well as the study of other cultures from around the world. 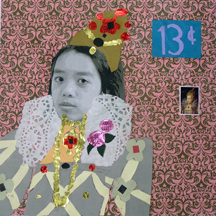 Because this is the first year of middle school, these students only have art one trimester. They rotate through band and choir the remaining two trimesters to get a “taste” of their elective choices for next year. 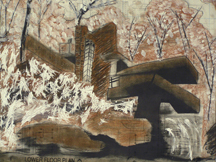 Within twelve weeks, an assortment of projects using a variety of materials are used. Oh, how I know it. These kids blow me away with all their talent, as your kid continues to!